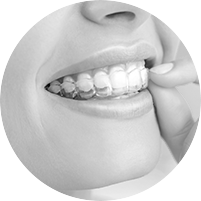 At The SmileSuite, we offer quality specialist orthodontics, specialist periodontics, cosmetic dentistry and dental implant care delivered to the highest quality and a luxurious dental experience to both children and adults alike. We welcome dentist referrals as well as self referrals for both orthodontic, periodontic and implant treatment. You’ve heard the phrase a “winning smile”. That’s because your smile is your greatest asset. A stunning smile can enhance your looks and confidence, helping you make the most of your life both socially and in your career. 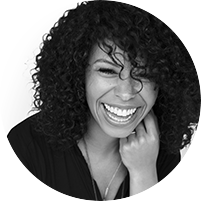 Achieving a stunning smile is easier than you might think. At The SmileSuite, our expertise can help you achieve the smile of your dreams. 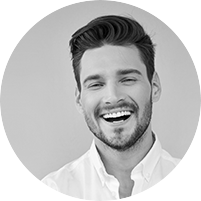 Choosing from a comprehensive range of treatments, including invisible braces and implants, we can give you the individual treatment you need for lasting results that will enable you to smile with confidence. 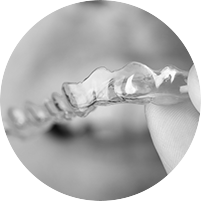 We are acknowledged as leading specialists and are the largest provider of adult orthodontic care in the area. We have a national reputation for providing outstanding levels of care and personal attention and have in previous years been voted the Best Specialist Referral Practice in the prestigious National Private Dentistry Awards and also the Best UK Dental Practice at the National Dentistry Awards, an unprecedented double. For many reasons, over time our skin can naturally age. So, to enhance your skin’s youthful appearance, we can provide line and wrinkle treatments. Once your orthodontic treatment is complete,it’s worth putting the finishing touch to your results by having your teeth whitened. 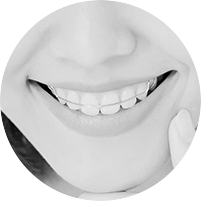 Our dental implant surgeons have a huge amount of skill and experience in the field of implants, having provided implants for many years, dealing with many complex and simple cases. Our Periodontic Specialist (gum specialist) has an extensive amount of skill and experience in the field of periodontics and is a lecturer at Cardiff University. The treatment I received literally changed my life. The quality of the care I received was second to none and is a credit to this wonderful practice. Having my bite corrected has not only improved my speech but has given me the confidence to pursue my dream as an actor. 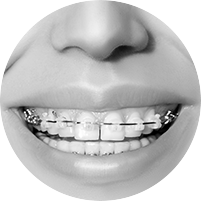 I decided as an adult to have orthodontic treatment and in 2004, met with the orthodontist. 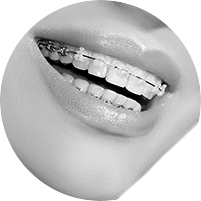 We discussed various types of braces and I chose a clear ceramic brace for both upper and lower teeth. Over the following months, I visited the practice regularly until at the end of the summer 2005, the braces were removed – just in time for my wedding. I have been very impressed with the service I have received: the professionalism and kindness of everyone, the attention to detail whether treatment or administration and I have appreciated the warmth of the welcome. When I look at my wedding photos, I am very glad that I undertook the treatment and I would highly recommend The SmileSuite for orthodontic treatment. Since starting my treatment, my confidence has been boosted, especially now the braces are off. My orthodontist was very calm and considerate, explaining exactly what he was doing, so I always felt at ease. The rest of the staff were great, really making you feel relaxed and welcome. I now live and work in Leicester so the Saturday appointment are really convenient – it saves me taking a whole day off work. Thanks very much! Wow! The first time I looked in the mirror when my braces were taken off was a reaction of "these are not my teeth"! I am so pleased with the result. My partner has always said I have a nice smile, now he says I have a gorgeous smile! My orthodontist and his team were all professional, caring and really put me at ease throughout the whole process. I was nervous to begin with but my orthodontist was patient and explained to me what treatment I was about to receive, and future treatment. I would recommend The SmileSuite to my friends and family as the staff are really nice and the treatment was excellent. Everyone now comments on my smile which for years I kept hidden as I hated my teeth so much. The treatment has boosted my confidence no end, both personally and professionally. The SmileSuite team are open, honest and very easy to talk to. You never feel rushed or that you are just another customer on the conveyor belt. I was very impressed with the attention to detail and felt everything was done to help me achieve my new smile. I am so pleased with the result - my only regret is not having this treatment years ago! Thank you to the SmileSuite team! 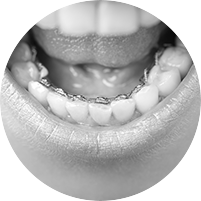 I will definitely be recommending this to anyone who is unhappy with their smile - just see what a difference modern Orthodontic treatment can make to your confidence and smile. In summary the experience at The SmileSuite was very enjoyable. It was enjoyable because the staff were characterized by friendly professionalism; they were very efficient, very attentive too. They would even be flexible when I turned up late! My straight teeth will certainly make a difference to me. 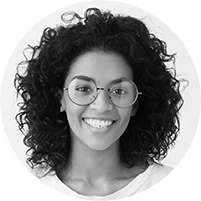 I had Orthodontic treatment as a teenager and the experience at The SmileSuite couldn't be more different to that experience - in attention to detail and my needs. I will certainly be recommending The SmileSuite to friends/family/colleagues because they do what they say and provide an enjoyable experience to go with it. Excellent experience throughout - from initial consultation, through every check up to final debond. Everything fully and clearly explained. Amazing result. I will be recommending The SmileSuite for excellent service and value for money. Never felt rushed or pressurised into any particular treatments. The SmileSuite team has been a joy to work with over the past two years. I am much more confident when I speak and smile these days. My treatment has allowed me to smile unconsciously, without my treatment I would not have been able to get married as I wanted to be able to smile on my wedding day. The whole experience was fantastic, and I would recommend to my friends and family without hesitation. At The SmileSuite the staff are very friendly - so considerate and polite. I can now open my mouth and let my teeth show and not be embarrassed! I would recommend to my friends and family as I always felt welcome and made comfortable on my visits. Staff were really helpful and concerned regarding my needs. Or use our online form to book an appointment or refer a patient.